Double-bunked behind the bars at the overrun St. Bernard Animal Shelter are more victims of the Gulf of Mexico oil spill: shiny-coated Labrador retrievers, long-haired Chihuahuas and a fluffy Shih Tzu. Thanks for the article! This is horrible. "Feeding your family or feeding your dog"???? First of all, your dog IS a member of your family. Second, I wonder how many of these people are giving up their dogs but have plenty of money for booze, cigarettes and ipads, cell phones and videogames for their kids? It's really inspiring to hear of the free vetcare and stepping up of efforts around spaying and neutering. This whole thing just goes to show that in the "trickle-down" economy, the main thing that trickles down is suffering. I feel for the people who have to let their pets go, especially those with kids. First your job, then your house and your pets, how horrible. And of course in the Gulf region, all their nearby friends will be in the same position and unable to take them. Hmph. Thanks Cher. Sorry but if you can feed your family you can feed your animal scraps. I would not be so ready to give up my animal. Pets are a lifetime commitment, just like your family is. To me, I think people will use any excuse to save their own asses and dump their pets. Obviously, they don't understand the phrase PETS ARE FOR LIFE!. Makes me sick. Thanks for the story. Though very sad, (like everything related to the oil spill) I'm happy to see the efforts being made to help the animals stay with their families. I don't see how people could give up a family member at all. But, hell, down in Haiti women routinely sell or give away their HUMAN children because they can't afford them! And at least some people care enough to surrender their pet to a shelter- many just abandon them completely when times get tough. How sad for these pets and their humans - it must be heart breaking for the people who have to give up their pets in many cases, and the animals must really suffer from the fear and abandonment. I have often seen people on TV, who are supposedly desperate and having to give up their pets, with a cigarette in their hand. I have always thought that the money they spent on one pack of cigarettes could be used instead to buy some cat or dog food. When your finances are in dire straits you give up your cigs and your booze and your frippery shopping before you give up a family member. Actually, you don't give up a family member. I don't "buy it", my animals and I are "in it" together, no matter what. To take an animal to a shelter, an animal who loves you, depends on you and would probably die for you, turn your back and walk away; what a betrayal. People do it all the time though, with no knowledge of what will happen to their former pet. Thanks Cher. It's upsetting to me to see so many people judging the pet owners when you aren't in their situation. The article stated that many people have been forced out of their homes, and end up in rentals that don't allow pets. MOST rentals don't allow pets, and when you are in such a dire financial situation, who can afford the ones that DO accept pets? I'm sorry that people in such dire situations make you sick. I cannot imagine giving up my dog. But that's just what all the victims of Katrina were forced to do if they wanted to be rescued. When I eat, I don't leave enough table scraps to keep a rat alive, let alone my fox terrier. I need the food I buy for myself, and people food isn't healthy for dogs anyway. If I were forced to live on the street, how long do you think I could keep feeding my dog? If I the only place I could afford to rent didn't allow pets, would you prefer that I live on the street? I just see too little compassion for the humans who are in such a terrible situation that they even have to CONSIDER such a painful choice. Noted. Thank you for sharing. Sorry it is upsetting to you DeannaG, but did you really read the article? One guy dropped off his Lab mix with 9 one day old puppies, because he was too busy now and no longer had time for them. Why was that mother dog not spayed? I know of numerous inexpensive ways to have your animal spayed. Totally irresponsible. I am quite quite "poor", and have even managed to spay/neuter stray rescued animals before I found them HOMES. The Shih Tzu was given up because the owner said "because he's now too busy". "Dean Howard of the Louisiana Society for the Prevention of Cruelty to Animals said several coastal parishes began reporting a surge in owner relinquishments immediately after the spill." Now, how did those pet owners know how long the nightmare would continue? They didn't. Their animals evidently didn't mean very much to them. The people who's livelihoods really are effected by the gulf nightmare are going to be compensated,and lots of rentals take pets; you just have to put a little effort into looking. To compare this to Katrina, where people had to make snap decisions about their own survival when they WANTED to bring their pets but couldn't; it just isn't the same. I absolutely agree that you shouldn't judge others without "walking a mile in their shoes", but I see far too many instances where people discard animals like they just count, and that does make ME sick. Excuse me; "like they just DON'T count"
"Sasha, a rust-colored Lab mix, was dropped off with nine 1-day-old puppies by a BP oil worker who suddenly had more work than he could handle and no time for the dogs..."
So, you would prefer that the dog be neglected instead? There is no requirement that dogs be fixed. You don't know that he wasn't planning on breeding them. Whether you agree with breeding or not, whether you agree with his reasons for not spaying or not, the fact is, when the dog got pregnant, he expected to have the necessary time to spend with them and take care of them properly. As a bp worker, he unexpectedly DIDN'T have the time necessary to take care of them properly. So he did the appropriate thing with little or no time to consider options; he took them to the shelter so they would be taken care of better than he could. People have THEIR reasons for why we do what we do. Whether you agree with them or not has no bearing on why WE make the decisions we make. You don't have a right to judge us harshly when you don't even know anything more about it than a few words in an article. How would you like it if a judge found you guilty based solely on some article in a newspaper? And I will tell you that if I had known that my dog is rare, I would NOT have had him fixed. I love him so much, and when he's gone, I will have no others like him to take his place. What is upsetting is that people think they have a right to be angry at others for not behaving as they want them to. But nobody has the right to tell people how to live their lives. i am not trying to start a debate but I disagree with you Deanna. LIFE HAPPENS. If you haven't thought enough ahead to these possible scenarios and make contingency plans, then you were perhaps impulsive when you got your pet. As far as breeding an animal. There isn't one single argument you can say that doesn't tell me breeding isn't for purely selfish reasons. "I wanted" the money, the same dog, whatever you fill in the blank denotes "I". The dog doesn't do it for altruistic reasons only to have the puppies yanked from her at 6 weeks. There are plenty already out there waiting to make someone a devoted and loving family member. If you are too busy to care for your kids, do you dump them on someone else and make them their problem? 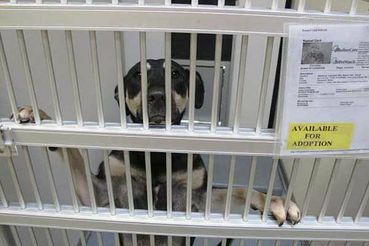 How do you know some of these animals won't be euthanized when they can't find a new home? Where does the committment come into play here? Best interest of the animal? Hardly. They must be so confused, scared and traumatized all for no fault of their own. They cannot reach out and find comfort or get counseling to help them cope. What a sad state they must be in watching someone they loved and trusted just walk away. Why couldn't he find someone to take his pets temporarily until he had time to spend taking care of them? BP will be paying for claims and he could have used some of the money to pay a friend to take them. The whole situation is awful but to take it out on the animal especially within a few months is just appalling. I'm sorry Katie, that you are so incredibly rigid that you can't make room in your strict life for exceptions. It�s also news to me that you know this mans friends. I think you should call THEM up and scold THEM for not doing what you insist they are able to do, since you do know them and their circumstances so well. You treat humans as if it�s a bad thing to �want� anything. Because of allergies, I am very limited on the types of dogs I can have, and very limited on the size. So if I happen to love the dog I have and want another one like him when he�s gone, there is NOTHING WRONG with that. But your limited range of what is acceptable will not recognize that exception. And you know NOTHING about me or what I might do with, or how I might treat the puppies I get as a result of breeding a favorite dog. I just can�t discuss this with someone who is so narrow-minded and doesn�t understand that a mutual benefit between humans and animals is possible without YOUR supervision. There's a huge difference in "wanting" something, vs taking on responsibility for a life. It is a LIFETIME commitment, not something to satisfy your "want". So while you want and get what you want, it's quite another thing to toss it when it becomes a problem. Stop justifying bad behavior, because the animal is the loser in the end. How much notice did that worker have before he knew he would be gone too long to take care of his dog and puppies? I mean, when the spill happened, and when he was notified that he would be working probably 16-18 hours a day, how many days did he have to make arrangements for his animals? Was he called in that day? Was he given more than one day? How long? Who did he call? Who of his friends, said they couldn't take in *10* animals? TEN ANIMALS! Who Katie? Who could be so callous that they wouldn't take care of TEN NEW ANIMALS, including NINE PUPPIES, for an indeterminate amount of time? It's clear to me that you even knew that this emergency would arise before it happened. So the man with animals also must have known that he would be called away, too. So how did you find out before any of the rest of us found out? And since you know this man AND all of his friends, why didn't YOU take in the dogs for what is now 100 days? Or are you saying that ANYONE who didn't choose to have a dog and puppies should now be strapped with them because someone else had an emergency to tend to? It sounds to me like you have a god-complex. Did I say that before? Nobody who chooses not to have pets is to be blamed for not taking in pets they didn't want in the first place. How dare you ORDER otherwise. Life DOES happen. And that means that hurt happens. Life is not hurt-proof, and it's stupid to try to make it hurt-proof. We take REASONABLE steps to live a good life. After that, LIFE HAPPENS.